Digital Printing by Edition Works, Tokyo. (Recto) Silk-screened pattern in luminescent ink; Calligraphy with sumi ink. (Verso) The scroll wraps around a Katsura pole with a diameter of 4cm (1.6 inch) and 23.6cm (9.3 inch) in length. Box is made by Paulownia wood with laser-cut lettering. Currently available are the following themes: Candle, Deer, and Goldfish. Rinko Kawauchi is recognized for masterful editing and sequencing of her images to generate a rich body of photobooks. 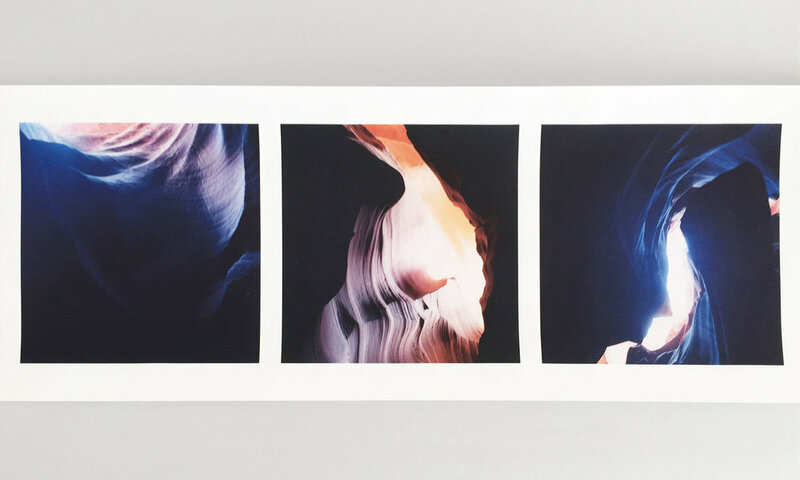 In response to this, presenting her photography as a sequence of frames on a scroll — a form with a rich history in Japan — is a new photobook form for the photographer that draws out some of the ideas at the core of her work. The sequence of frames flow from right to left and connote the passage of time as an uninterrupted sequence. This idea extends to a larger philosophy that all things are connected. Approaching Whiteness presents nine different sequences that each focus on a specific theme. Previews of the nine different scroll themes are available here. The total combined size of the edition is 300 scrolls. Each scroll is stamped by the Artist. Rinko Kawauchi's books include Hanako, Utatane, and Hanabi, which were published simultaneously in 2001 by Little, More. Since then she has continued to use the photobook as one of her primary modes of presenting her photography. Ivan Vartanian discusses Approaching Whiteness on NHK.